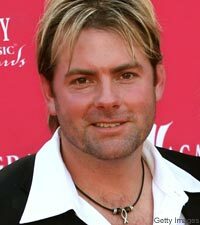 Thoughts and prayers go out to Andy Griggs and his family, who lost their Nashville home in a fire on Saturday. No information has been given yet on how the fire started. Griggs and his family are safe, but the home has been reported as a complete loss. A press release from Andy's publicist was sent out today. "Andy and his family are strong in their spiritual faith and they are very appreciative to be alive," reads the press release. "Andy is very touched by all of the support of his fans and all of the messages of concern. He wants to assure everyone that he and his family are fine and he expresses his most sincere thanks to all of this fans and friends for their thoughts and prayers at this time."